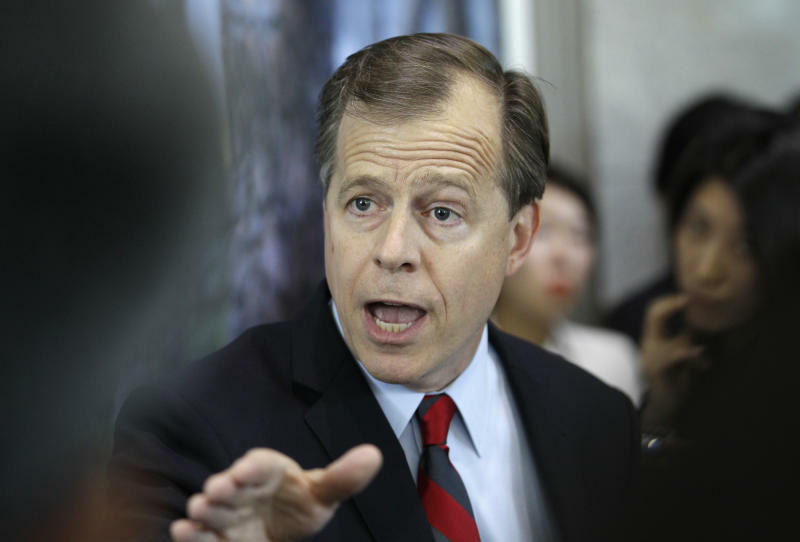 SEOUL, South Korea (AP) — The top U.S. envoy for North Korea warned Pyongyang on Monday that any nuclear test would be a serious miscalculation that would unify the world in seeking swift, tough punishment. Glyn Davies' comments after meetings in Seoul with his South Korean and Japanese counterparts come as outside analysts and governments voice worry that North Korea may follow a failed April 13 long-range rocket test with its third nuclear test — a pattern that happened in 2006 and 2009. North Korea is being led by Kim Jong Un, the young son of Kim Jong Il who took power after his father's death in December and has since vowed to place top priority on his impoverished country's military. "We are obviously in a bit of an uncertain period with North Korea" after the rocket launch, Davies told reporters at the Foreign Ministry. "It is very important that North Korea not miscalculate again and engage in any future provocation." 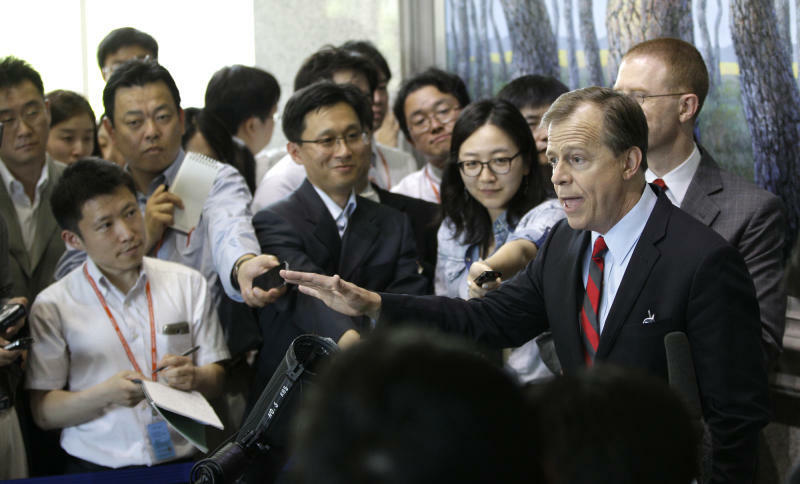 Describing Washington's policy on North Korea as "engagement on the one hand, pressure on the other," Davies said that the "engagement aspect remains open. If they make the right choices, there can be a different future for North Korea." Another nuclear test, however, would result in "swift and sure" punishment at the U.N. Security Council, he said. Davies indicated U.S. frustration with North Korea's announcement of the rocket launch just two weeks after the countries had struck a food aid-for-nuclear freeze deal — the result of months of tedious, back-and-forth negotiations and seen as something of a breakthrough at the time. The decision sent a "signal that they can't be trusted to follow through on their own undertakings and their own promises," Davies said. "Words are no longer, quite frankly, interesting to us. What we want to see is actions from North Korea," Davies said. Washington and other nations called the April rocket launch a cover for a test of missile technology that could be used to attack the United States — and therefore a clear violation of the U.S.-North Korea deal. North Korea said the rocket, which broke into pieces over the Yellow Sea shortly after liftoff, was meant to send an observational satellite into orbit. South Korean intelligence officials have said that recent satellite images showed North Korea was digging a new tunnel in what appeared to be preparation for another nuclear test at the site of its two past tests. South Korea's top nuclear negotiator, Lim Sung-nam, said earlier Monday that a different path would be open for North Korea if it refrains from provocations. North Korea's state media, meanwhile, criticized the U.S. House of Representatives for approving a defense authorization bill that includes a recommendation for the redeployment of tactical nuclear weapons in South Korea. The Korean Central News Agency called it an "unpardonable action" meant to "strain the situation on the Korean Peninsula to an extreme pitch of tension and thus ignite a nuclear war at any cost." President George H.W. 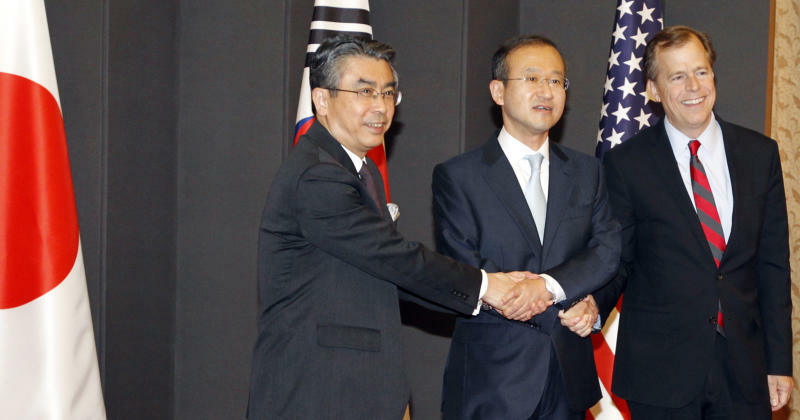 Bush withdrew U.S. nuclear arms from South Korea in the early 1990s. Associated Press writer Hyung-jin Kim contributed to this story from Seoul.